Despite this, few landscape architects have ‘followed in McHarg’s footsteps’ by adopting his layered approach to land use planning. Nor are landscape architects significant users of Geographical Information Systems (GIS). Part of the explanation is that the overlay method was unbalanced to the extent of being flawed. For use on design projects, it was too scientific and too determinist. The clearest illustration of this is McHarg’s statement that ‘any man, assembling the same evidence, would come to the same conclusion’. Design can’t be like this. It rests on beliefs, and on judgements and on whatever facts are considered to be most important. Landscape architects now agree that both artistic and scientific inputs are essential. But holding the balance is difficult. 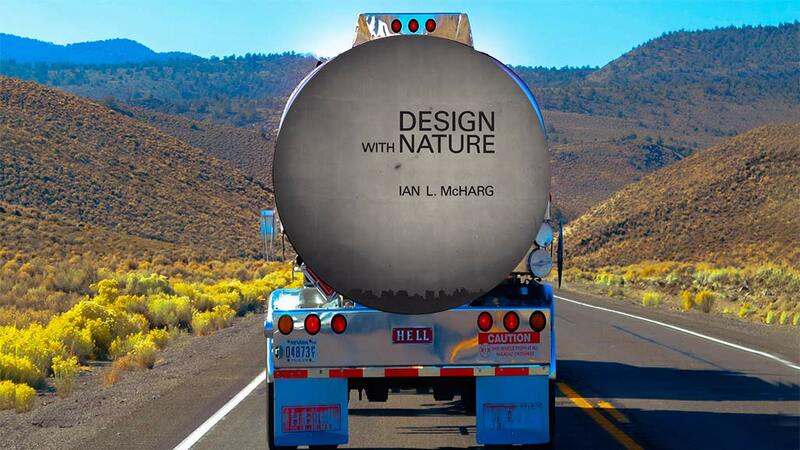 As I see it, most twentieth century landscape architects neglected the sciences and Ian McHarg’s overlay method neglected human culture and the arts. But it needn’t have. I see the theory of Landscape Urbanism as way of complementing McHarg’s stack of scientific layers with a second stack of cultural layers. This approach is post-Postmodern and is, I hope, the next stage in the escape of landscape theory from blow it suffered from The Three Stakes after 1800. – Ian McHarg was born in Clydebank, which is 65 miles from the birthplace of Patrick Geddes. Geddes was the first European to use the term ‘landscape architect’ in its Olmstedian sense, and the most important influence on McHarg’s approach to landscape architecture. Beyond a doubt, they are Scotland’s most significant landscape architects. – PennDesign has set up a website and announced that ‘In recognition of McHarg’s legacy, the department of landscape architecture at Penn is establishing The Ian L. McHarg Center: Urbanism and Ecology, a nexus of research, teaching, and advocacy for improving the relationship between cities and their landscapes, and processes of urbanization and ecosystems’. Public Art, as the means to exact from everyday life a measure of rooted meaning, beauty, and sublimity.